Organizational change ultimately occurs one person at a time. 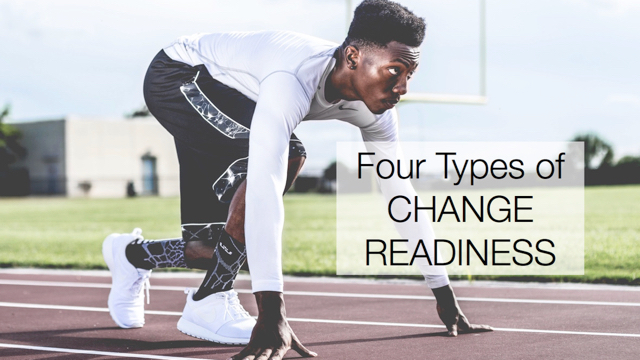 Out of necessity to be efficient, we rely on change tools that reach multiple people at once, like meetings, training, and a host of communication methods. However, the most effective means of influencing individuals is in one-on-one conversations. Of course, you can’t have one-on-one conversations with everyone in the organization. How do you decide who to talk to? Consider this: the most important conversations are usually the ones you would rather avoid having. If you are having a repeated conversation with someone else inside your head, then it’s time to make the effort to have the talk out loud. Engaging in difficult conversations is one of the crucial skills a change agent must have to be a successful influencer. To implement your change initiative throughout the organization, you need the support of leaders at all levels. Starting with their initial buy-in and then their ongoing commitment and action, leaders will help drive the change in their parts of the organization. The conversation to gain support can be daunting when you expect to have to persuade someone to get on board. You need leaders to not only believe that the change itself is worth pursuing, but also to agree that their active support is necessary to achieve the change, which can be a tall order. Adding discomfort is the fact that, as a change agent, usually you have either indirect or no authority with the leaders whose support you need. To gain support, be clear about what their support really means – don’t settle for a nod of agreement if you need them to actually do something. Align the change with their best interests. Address any concerns and show how you will help them be successful. If necessary, share stories to demonstrate the value of leadership support to change efforts. When people in the organization push back, procrastinate, lay low, and do other things that seem to slow down change, we tend to experience it as resistance. As a change agent, it can seem like resistance is something that is done to you personally. You can physically feel the drag like you are swimming upstream. It is not easy to stay neutral in a conversation when it feels like someone is pushing against you, and it can be difficult to not become defensive about the change. When dealing with resistance, it is important to not push harder – it will only result in them pushing harder in return. Instead, realize that you are the one experiencing resistance, and they are having a normal human reaction to change. In your conversation, be curious about their experience of the change, and uncover the real reasons for their hesitation. That way, you can work with them, and not against them, to move forward. As people incorporate changes into their routines, you need to let them know what they are doing well and what needs improvement as they go. Feedback provides reinforcement of the change and also the opportunity for correction when necessary. Positive feedback is usually not difficult, although it is often forgotten; negative feedback we tend to avoid giving, even when it is really needed. Not many people are comfortable sharing the news with someone that they are doing something wrong or performing ineffectively. And most people don’t like hearing it, either. When you are not the recipient’s boss, offering feedback can be especially difficult because it may seem like you don’t have the right to give it. When providing feedback, start with the facts, and not your interpretation of the facts. Explain the impact of the individual’s behavior or performance. Listen to the reasons without allowing excuses. Show support throughout, and maintain an attitude that you are helping them be more successful and not accusing them of wrongdoing. When you are implementing change, it is the time to neither drop subtle hints nor to rely on mass communication to address individual issues. If you are sitting around waiting for someone to get with the change program, chances are you should talk directly with that individual. Prepare in advance and then hold a deliberate conversation to help move your initiative forward. Although these experiences may never be entirely comfortable, with practice you can master the ability to influence individuals through conversations.